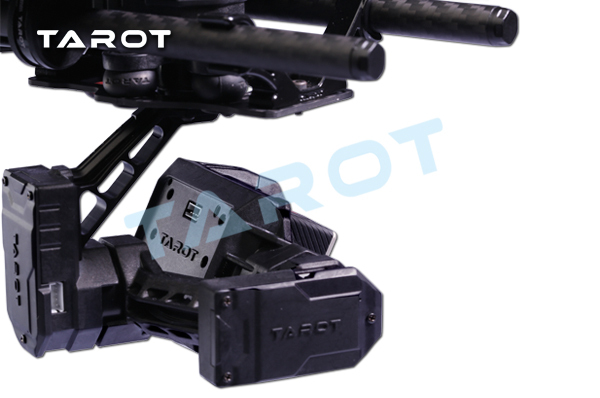 Produktinformationen "Tarot T4-3D 3 Achs Brushless Gimbal"
Tarot T4-3D three-axis-stabilized head designed for GOPRO HERO3 / HERO4 same size and weight of the camera customization, integrated TAROT series PTZ all high-end technology. 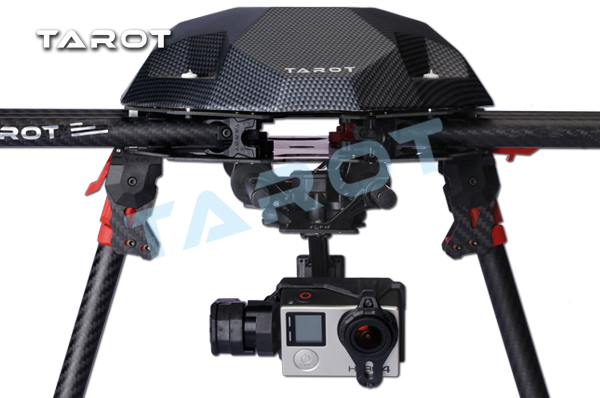 Using a combination of aluminum and plastic structure, bringing light weight and stability of the strongest, even in extreme harsh environments, also accurate to lock the camera to maintain a high degree of stability, output ultimate experience of fine industrial grade screen, is the best choice for professional video and aerial photography enthusiasts. 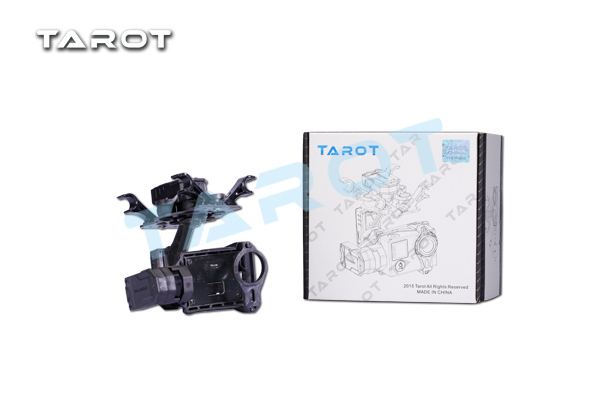 Tarot T4-3D-axis auto-PTZ PTZ advanced control algorithms, the built-in stand-alone IMU precise attitude control PTZ, PTZ integrated servo drive module. 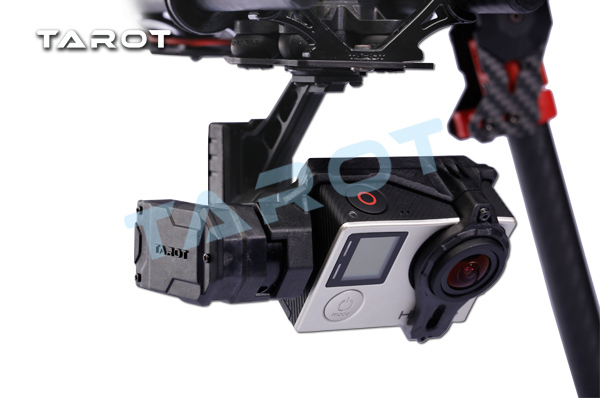 Support point to follow (PF) and the first person (FPV) modes. All the power and signal lines subtly embedded in the head structure. Pitch axis speed-controlled, the amount of rocker lever corresponding pitch axis rotation speed, the greater the amount of rotation of the lever faster. 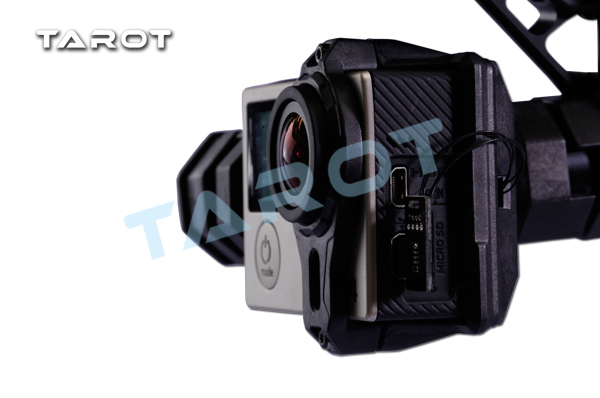 GoPro Kamera und Copter nicht im Lieferumfang enthalten. 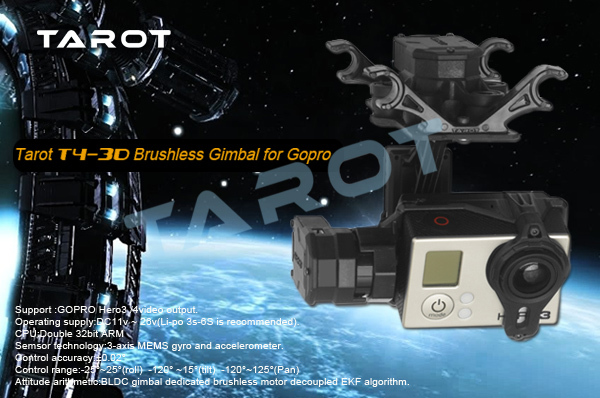 Weiterführende Links zu "Tarot T4-3D 3 Achs Brushless Gimbal"
Kundenbewertungen für "Tarot T4-3D 3 Achs Brushless Gimbal"